This event is in mid-October. 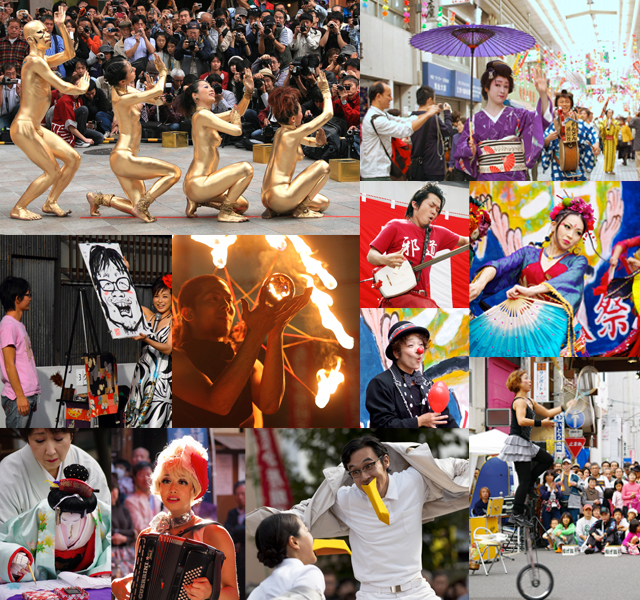 Nowadays street-performer festivals have come to be held in many locales, but the first ever to take place in Japan was the Osu Street Performers Festival. Part of the allure of street performances is the intimate distance between the performer and the audience. Here you can get an up-close look at jugglers, dancers, mimes, and other artists. 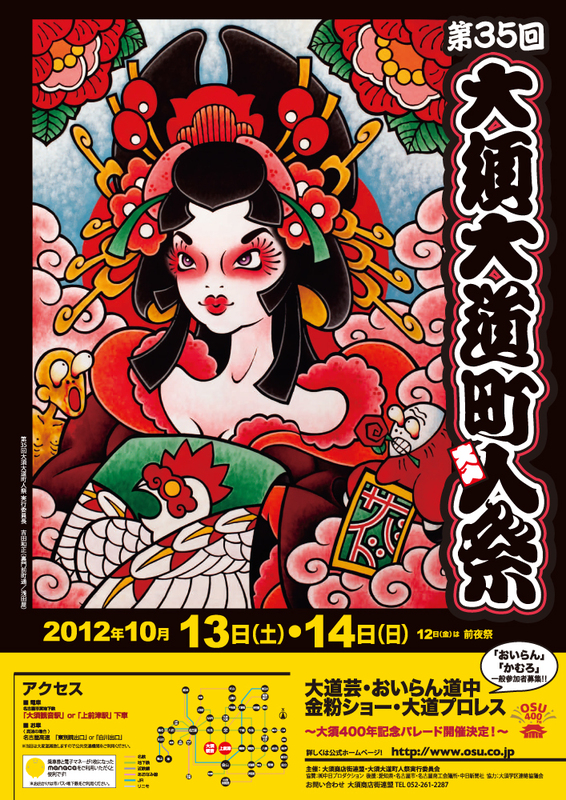 The event that symbolizes this festival is the oiran procession. During the Edo period (1603-1868), a red-light district was created in Osu, and the area flourished as a major entertainment center. 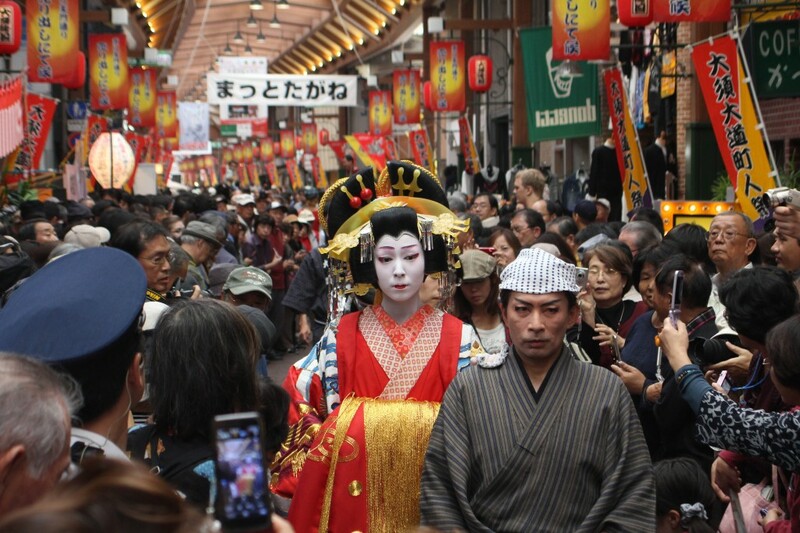 In commemoration of this historical background, this re-creation of a procession of oiran courtesans is held each year as the highlight of the festival. 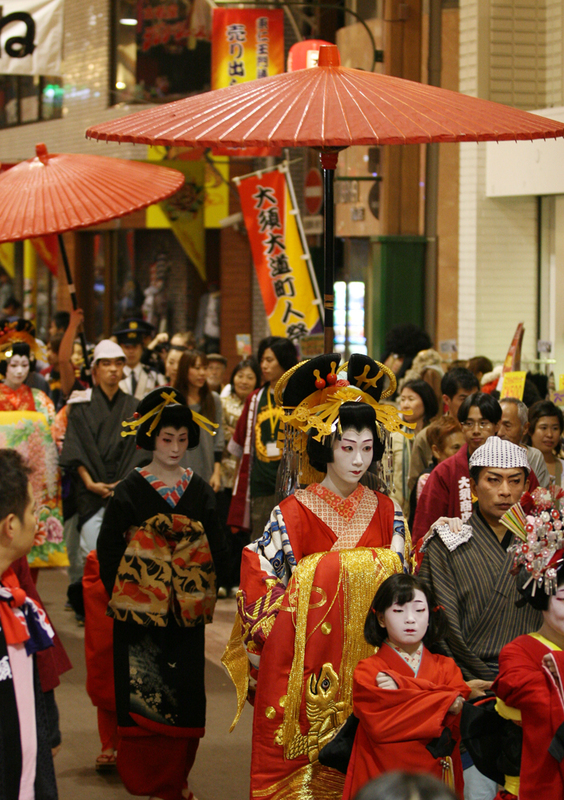 Women selected through open auditions garb themselves in gaudy oiran attire and walk in a procession through the streets of Osu.